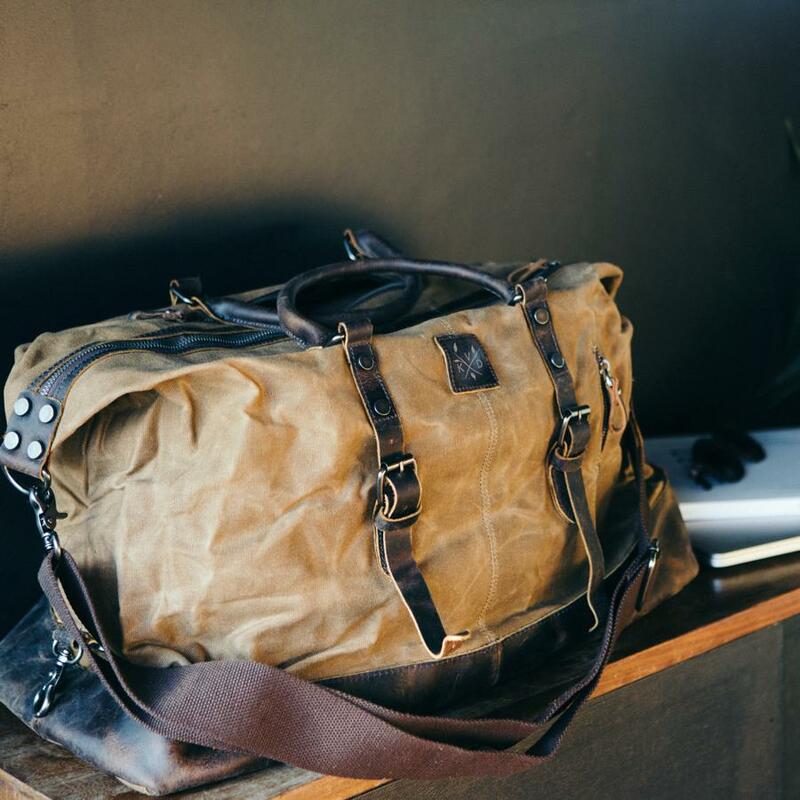 This waxed canvas and leather bag features a spacious twin pocket compartment, which is fully lined with waterproof nylon along with internal and external pockets. Double zip-pockets and heavy-duty brass fixtures define this multi-purpose bag. The adjustable shoulder straps provide a comfort fit and are easily removable.